REGISTRATION OPENS on Friday November 23rd with special Black Friday pricing through the end of the month! Evergreen Lake had not seen a triathlon since the early 90's when the Evergreen High Country Triathlon challenged athletes from around the country. We revived the tradition in 2012, and the course received rave reviews. Demand for the sixth edition of the Evergreen Sprint Triathlon will be high, so be sure to register soon! 8:15 a.m. - Breakfast Opens!!! The Evergreen Sprint Triathlon is one of the most scenic and exciting courses on the Front Range. From the refreshing swim in scenic Evergreen Lake, to the challenging 12 mile bike course on beautiful foothills roadways, to the 3 mile dirt road and trail run around Evergreen Lake. This is a race you'll want to do year after year! Click Here for a Transition Area Map. 12 Mile Bike Course: The 12 mile ride follows well maintained paved roadways alongside Bear Creek, then climbs up Witter Gulch and Stagecoach. The final five miles of the course is a very fun rolling descent including an auto lane that is totally closed to motor vehicles for the final two miles. 3 Mile Run: The run course will follow a mix of dirt roads and trails above and around Evergreen Lake, with a short paved stretch and some boardwalk segments. The finish will be on the lawn in front of the beautiful Evergreen Lake House. The course also includes the stairs down and up the dam, reminiscent of the Escape from Alcatraz tri. This is truly a fun course!!! Your entry fee includes entry into the race, FREE Photo Downloads, an Evergreen Sprint Tri technical shirt in men's and women's sizing, fun music, a racer goody bag, a post race meal including breakfast burritos from El Senor Sol Mexican restaurant!!! 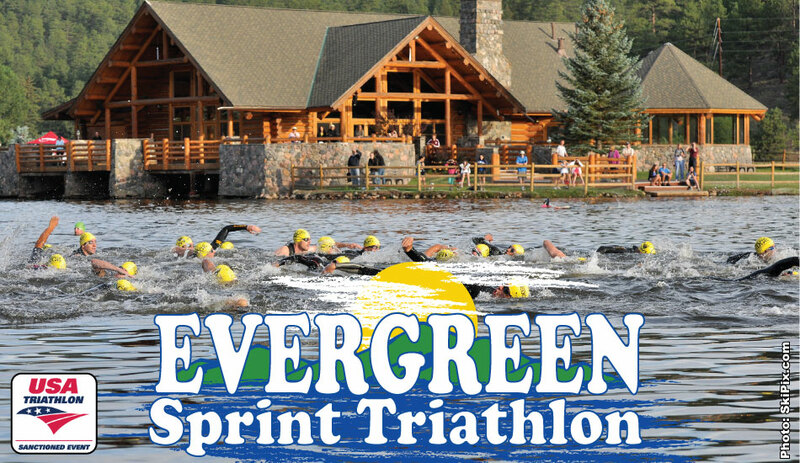 The Evergreen Sprint Triathlon is limited to 750 entrants. There will not be a waiting list for this event. There will be no race-day registration for this event. Every effort will be made to hold the race, regardless of weather conditions, however we reserve the right to alter or shorten the course in the case of extreme weather. Once accepted, entry fees will not be issued for any reason. You may cancel your entry and receive a 75 percent credit toward any other Racing Underground event until 30 days before race day or until the race sells out, whichever comes first. The credit will be valid for 12 months. You may transfer to another athlete for a $10 fee until 10 days before the event. No transfers will be allowed fewer than 10 days before the event. No refunds or credits will be issued if the race is shortened, postponed, or cancelled due to weather. Early Packet Pickup Friday July 19th: Early packet pickup will be held on Friday July 19th from noon until 6:30pm at Runners Roost Lakewood. Runners Roost is located at 7978 W. Alameda Ave. in Lakewood. This is the southwest corner of the intersection of Alameda and Wadsworth, in the King Soopers shopping center. Runners Roost Lakewood will have some great in-store deals during packet pickup, so be sure to come!!! ***Friends and family may pick up your packet for you at the early packet pickup, however they will need a note from you, a copy of your valid USAT card (if applicable), and you will need to present a valid photo ID on race morning in order to pick up your timing chip. No exceptions. DIRECTIONS: The race will be staged at the Evergreen Lake House on Evergreen Lake. There will be no participant or spectator parking at the Lake House. Athlete Parking will be along the frontage road on the west side of Highway 74, north of the lake. We will have parking staff to direct you on race morning. Absolutely no parking will be allowed along Upper Bear Creek Road or in church parking lots, as services will be taking place on Sunday morning. Violators will be ticketed and towed. Spectator Parking will be at Evergreen High School. Spectators will have a half-mile walk                                                                                                                                                                                                                                                                                                                                                                                                                . Most of the walk is along a beautiful trail that they will enjoy. Relax on the beautiful lawn at the lake house and enjoy the post-race fun! We'll have plenty of good food in the finish line area to fill your belly                                !!! AWARDS: Awards are scheduled to be presented at 10:00 a.m. however this time may be adjusted depending the number of participants still on course. Merchandise prizes will be presented to the top-3 male and female overall finishers. In addition, awards will be presented to the top-3 male and female finishers age 19 & under, and in each 5-year age group starting with 20-24, as well as Clydesdale and Athena divisions and the first place team in Male, Female, and Coed relay categories. RESULTS: Race results will be posted on-site throughout the race, and on this website LIVE on race day. Participants must wear their timing chip and cross the timing mat at the finish line in order to receive an official time. All timing chips must be returned at the finish line to avoid a lost chip charge. Results will only be edited (for misspelled names, etc.) for two weeks following the event. VOLUNTEERING: If you would like to volunteer for the race, we would love to talk with you! 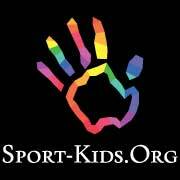 We have all kids of positions available, from course marshals to kayakers to transition and finish area help. Just send an email to info@racingunderground.com and we'll get right back woth you. We hope to see you on July 21st at the Evergreen Sprint Triathlon!! !